One of the interesting things about McLaren’s current lineup of street cars is that all of them use the same 3.8-liter twin-turbo V8 engine. It’s tweaked in various ways for the 650s, 675LT and even the P1, where it gets a hybrid system for crazy power. But for the McLaren 720S, McLaren’s packing an all-new V8 to go with it. Will it be fast? Yes. Answer’s yes. We won’t see the 720S in full until the Geneva Motor Show in March, but today McLaren dropped some specs on the new M840T engine that replaces the M838T in current cars. As you might guess from that, it’s now a 4.0-liter V8, but still packing two turbochargers. Exact power figures aren’t out yet, but if the 720S’ name is anything to go by it should be close to or top 700 horsepower. More importantly McLaren says it will send the car from zero to 124 mph in just 7.8 seconds, and will do the standing quarter mile in 10.3 seconds. That should rank the 720S among the quickest of the supercars and hypercars. 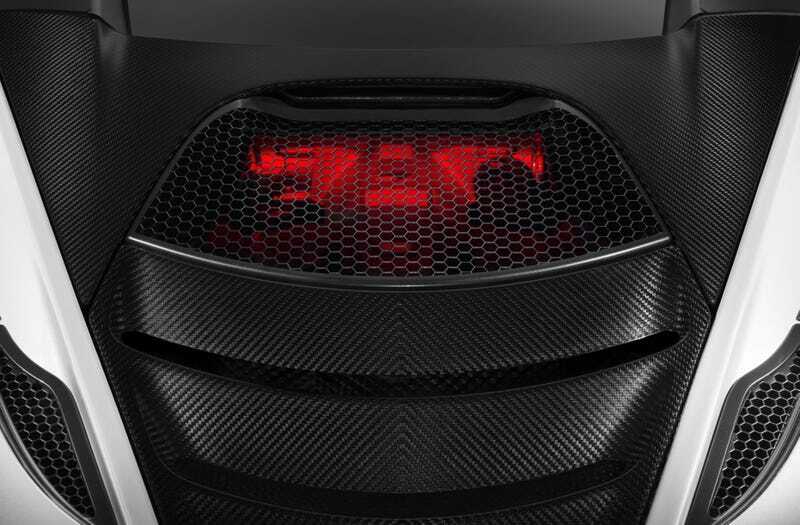 All I can tell you is my time in the 650S made me not hate turbocharging on modern supercars, so I’m eager to see—and hear—what this new motor can do. We’ll know more when the car drops on March 7.